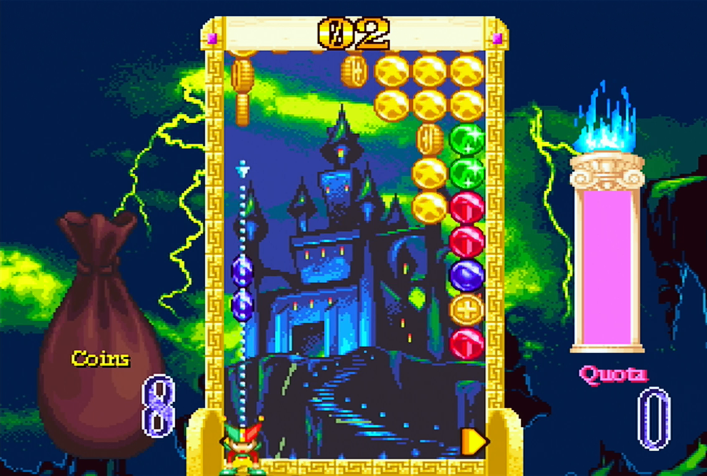 Magical Drop III, first released in 1997, is widely regarded as the best installment in Data East’s series of frantic puzzlers. The series as a whole is noteworthy in that it provides a distinctly more fast-paced take on what is typically regarded as a relatively sedate genre, but Magical Drop III took the core mechanics established in its early incarnations, polished them to a fine sheen and created one of the most addictive puzzle games of all time… not to mention the origin of the “Fairy Bounce” meme. Magical Drop III got released on all manner of platforms, but today we’re primarily concerned with the European PlayStation release, which includes a port of the Saturn version, itself somewhat rebalanced from the arcade and Neo Geo versions, as well as a port of Magical Drop Plus 1!, an enhanced version of the first game in the series that was originally released in the West as Chain Reaction. For the unfamiliar, Magical Drop III is a variation on the usual puzzle game theme of “match several things of the same colour to make them disappear”. 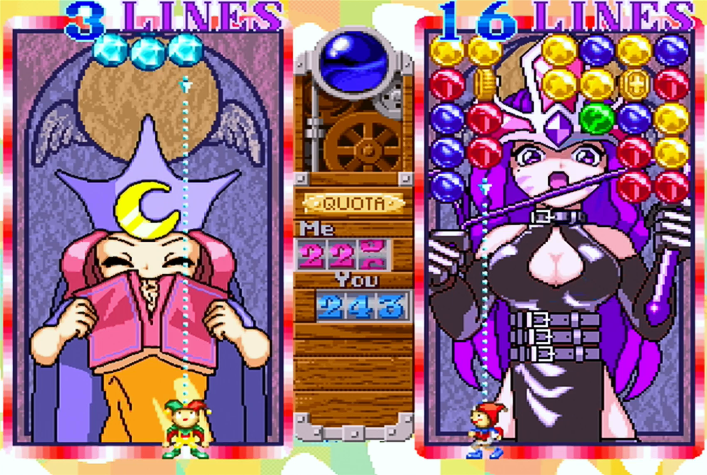 In this case, balloons slowly descend from the top of the screen a line at a time, and you need to line up three or more in a single column — there are no horizontal or diagonal matches in Magical Drop. The basic gameplay involves controlling a little clown-like character called a “Pierrot” and picking up balloons from a column at a time. You can pick up balloons of the same colour in several “steps”, then release them all back into the wall at the same time to create a huge match, but the real skill in Magical Drop III comes from rapidly creating Chains. Chains can be created in two ways: firstly, by setting up (or accidentally creating) chain reactions of balloons, and secondly, by rapidly creating additional matches while another one is still disappearing from the screen. Speed is very much of the essence if you want to obtain high scores or defeat a versus mode opponent quickly, and one of the things people find most immediately striking about Magical Drop III is just how fast it plays. 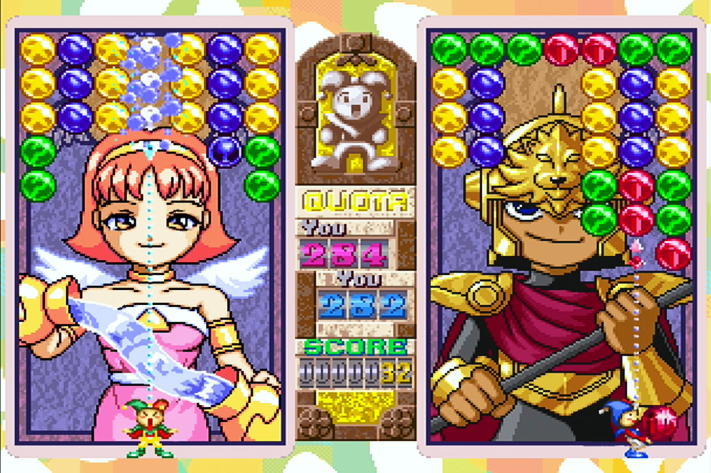 We’re not talking “fast” in the same way as Tetris pieces fall unmanageably rapidly as you advance in level, but rather the fact that Magical Drop III’s gameplay focus requires you to constantly be on the move, making matches without a break and without stopping to think. It’s a game less about stroking your chin thoughtfully and coming up with an effective strategy and more about blasting columns of bubbles as quickly as you can; if you manage to squeeze in a bit of strategy along the way in order to set up some formidable chain reactions, so much the better. 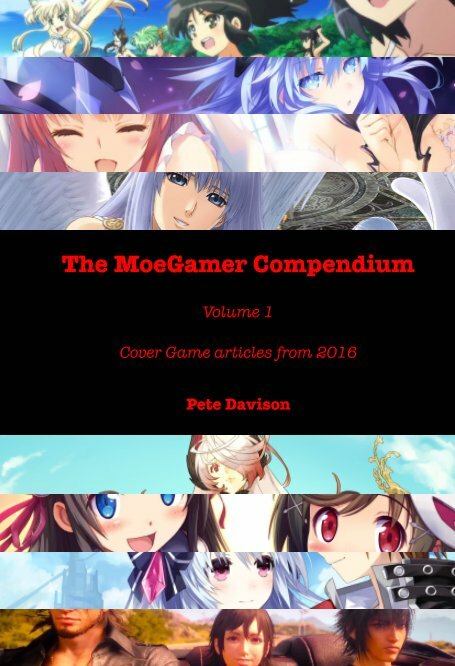 It really is a unique experience compared to pretty much any other puzzle game out there, but it’s kept feeling accessible and interesting by its presentation, which very much conforms to the idea of the “waifu puzzler” popular in the late ’90s. 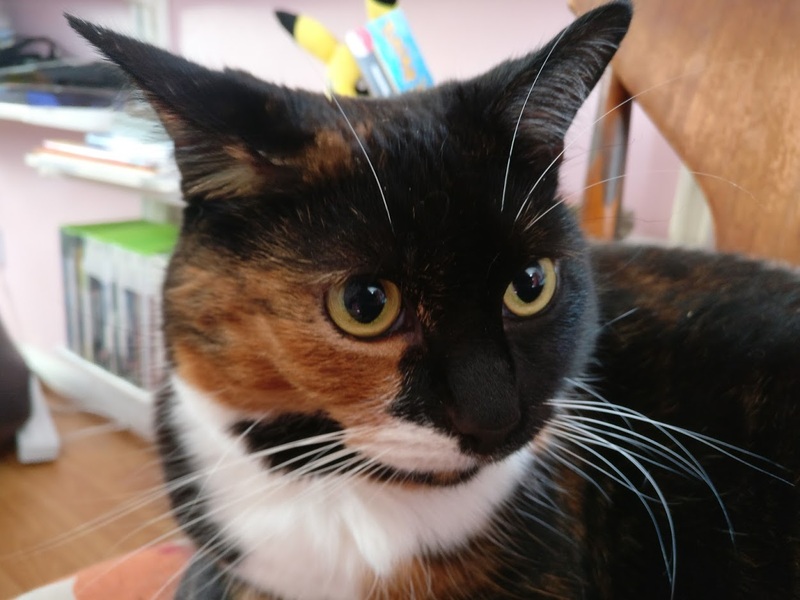 In other words, the whole game is presented with colourful, approachable cartoon-style graphics and features a diverse cast of entertaining and attractive characters, the vast majority of whom are based around cards from the Tarot deck. 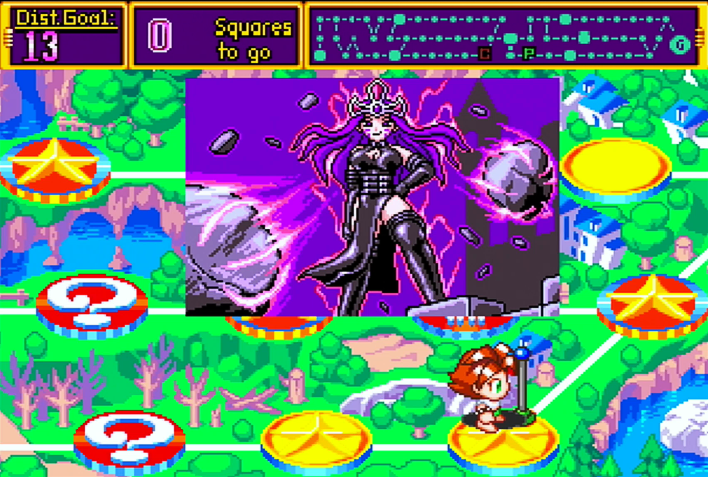 Like many of its contemporaries such as Taito’s Puchi Carat, Magical Drop III features large, well-animated sprites of these characters accompanying the action in the background of the playfields. When playing in versus mode, these characters react according to how well they are doing in their own right and in comparison to their opponent, whereas the single-player modes see some entertaining, highly stylised animations unfolding in the background in an attempt to distract you from what you’re doing. The PlayStation version features a number of different ways to play, including a single-player mode in which you attempt to clear various patterns and attain a high score, a versus mode against either a series of computer opponents or a second player in which the character you select has an effect on the attack patterns you trigger by creating chains, or an unusual board game-inspired mode in which you take turns moving around a board against a computer-controlled opponent, with different spaces throwing you into different minigames that apply Magical Drop’s core mechanics in a number of ways. The ultimate aim in this latter mode is to beat your opponent to the final boss “Empress”, but you’ll need to ensure you collect enough coins from the minigames along the way, otherwise you’ll be thrown back a fair distance when you reach one of the checkpoints along the way! The different modes all have quite a different feel about them, but once you get your head around the core mechanics they’re straightforward enough to understand — they simply tax different parts of your skill set. The board game mode in particular is a good “training ground”, as it sets you unique challenges based on some of the less common mechanics you might come across during matches as well as throwing you occasional standard versus matches against various characters. Best of all, the PlayStation version is a really solid port, running at a decent speed with responsive controls and looking every bit as good as the arcade and Neo Geo originals. The character animations in the background look great, the graphics of the actual puzzling are presented clearly and without fuss and the whole thing just feels great to play. My only real complaint with the PlayStation version was the seemingly lengthy load times — until I realised that in many of these breaks it was actually auto-saving progress and high scores to the memory card rather than loading data from the disc. 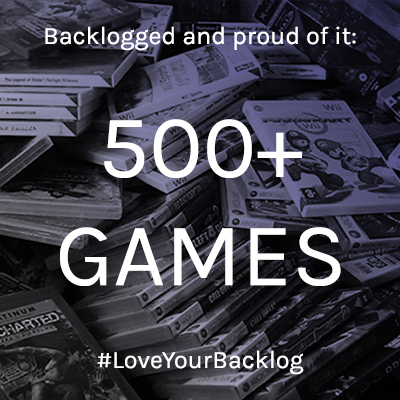 Indeed, so long as you have a memory card with a free block inserted into your PlayStation when you start up the game, you’ll never see it mentioned again; it’ll just do its thing quietly and unobtrusively in the background as you play, making for an experience you can enjoy for hours without interruption or accidentally forgetting to save that amazing score you attained on that one perfect run you’ll never, ever be able to recreate. 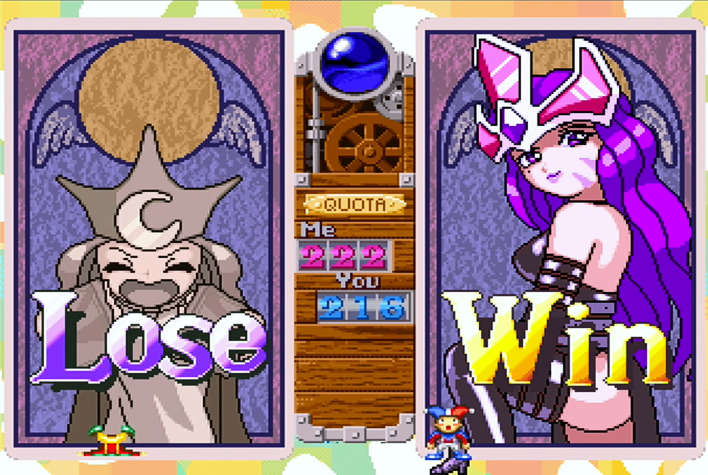 Magical Drop III is a great game. The European PlayStation release, complete with Magical Drop Plus 1! (more of an interesting curiosity than anything, though it has a cool puzzle mode) is one of the best ways to play, but if that isn’t an option for one reason or another… just find a way to play Magical Drop III. Seriously. You won’t regret it. Well, you might. But you’ll have a lot of fun before you reach that point.